An update to Vol. 2, pp. 409–412. Starting in 1990, renewed excavations were conducted at ‘En Gev by a Japanese expedition as part of the Land of Geshur Project. 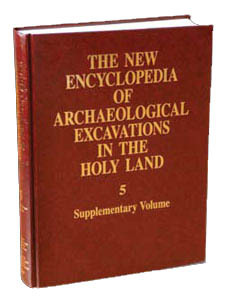 These excavations ended in 2005. During the first years of excavation, the Japanese expedition was headed by H. Kanaseki of Tenri University, later followed by A. Tsukimoto of Rikkyo University. G. Kovo acted as Israeli coordinator for the Land of Geshur Project until 2001. Y. Paz was the Israeli coordinator for the project from 2003 onward. The renewed excavations have exposed a large area of over 1,000 sq m on the northeastern corner of the acropolis. So far five major strata have been defined: stratum I—the Roman and Byzantine periods; stratum II—the Hellenistic period; stratum III—the Persian period; strata IV–V—the Iron Age II.